Now that I’ve laid out the basic principles of ego management it is probably wise if I look into the practicalities of working through this process, to give you an idea of some of the activities that you can do as practical exercises to help you master your ego quicker. 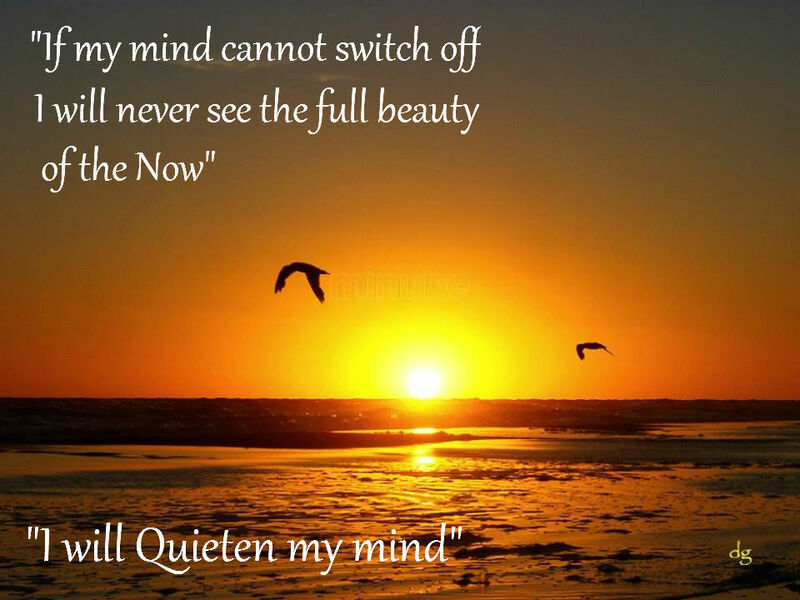 The first task is to quieten the mind. This is perhaps the hardest task, since it is the first task and the concepts that I have introduced may be unfamiliar to you. There is also a caveat: Not everyone will be able to quieten the mind by following these steps, some people have ego challenges that run deeper than simply learnt behaviour that can cause intense obsessive thoughts that are seemingly impossible to stop. I will be covering these issues later, so be assured if you find it impossible to quieten the mind at this stage, there are other solutions coming. One of the bad habits ego picks up is that it can constantly keep you thinking about things. This is often picked up from school where it can be seen as beneficial to have an active mind, however when this habit carries over into adult life it can cause significant problems. For example you can find yourself unable to “switch off”, interrupting sleep, it can also mean you constantly worry about things; projecting negative outcomes into your future is a serious cause of depression and it can actually help manifest these negative outcomes into your life. It also means that you can be easily distracted and unable to concentrate on anything other than the simplest of tasks. There are a number of techniques you can use to stop these thought patterns, often people defeat worrying thoughts by holding a simple logic to defeat the thought, for example, remembering that any general worry, or even a constant hope can cause problematic outcomes for the future. Because they get in the way of living in the “now”, in short by thinking too much about the future, or of other peoples actions you sacrifice your attention on what is important – the “now”. So many people faced with anxiety caused by over thinking at first defeat those thoughts by finding solid logical reasons as to why those thoughts should not happen, and they work hard to make sure that every time the mind slips into those thought patterns they stop them with the defeating logic. Another approach, one that I encourage is distraction, in the case of my example of listening to music intently, this is a distraction from thinking completely and I find it more beneficial because it avoids the trap of thinking too much about not thinking. Which sounds odd, but it happens. It is worth remembering that the ego develops habits, and it finds habitual thoughts easier then non habitual thought. So what you are trying to do is stop the unwanted habit and develop thought habits that are desirable, it this case the habit of having a quiet mind. This topic contains 0 replies, has 1 voice, and was last updated by Barra 4 years, 8 months ago.